A marketing list is an important component in email marketing. Often times, we collect email addresses to execute a campaign. However, that has been a huge headache nowadays as (ESP) Email Service Providers simply assumes you’re a spammer. So before you start a marketing campaign, make sure to have a clean list that is free from duplicates, incorrect and obsolete data. Here are some of the tools that you can use to eliminate unwanted data on your marketing list. Clean and Match Data Cleansing and Matching Software Suite by Winpure. This software is used for finding, cleaning and removing duplicate records from a list. The good news is, you don’t need to buy it to test it. They offer 21-day free trial for you to test it with your own data. Atomic List Manager by AtomParks Software. They do mass mailing and manage email address list. One of its features is to split and merge lists. It can exclude invalid and duplicate emails at the same time repairs them and checks the validity of “repaired” version. It also purge list of suspicious emails. Having a good data doesn’t only mean your list doesn’t include any duplicates and incorrect data. It also means that freeing individuals who wish to “unsubscribe”, opt out and don’t want to receive unsolicited product or service information. The following tools let’s you automate your email marketing but at the same time remove individuals who wishes to unsubscribe or opt out from your mailing list. Choose from a variety of solutions that suits your marketing needs and sign up for a free trial. An email marketing service who manage subscribers, send out emails and track results of your email marketing campaign. Talend’s open source data quality tools are embedded in Talend Open Studio for Data Quality, a popular open source data quality application. Blazent’s 5-step data evolution process begins with data atomization, which breaks down IT data, regardless of its source, to its most granular level. AB Initio provides significant data quality tools as part of a broader suite of products for building, running and integrating enterprise applications. Data Manager is a program which allows you to process and manipulate your data in a easy and logical manner using a graphical interface. Datamartist is a fast, easy to use, visual data profiling and transformation tool. It includes a data profiling tool for analyzing format, types, completeness and value counts. Get access to advance data profiling technologies and an expert marketing team! DataPreparator is a free software tool designed to assist with common tasks of data preparation(or data preprocessing) in data analysis anddata mining. Paxata is an enterprise platform providing the tools to significantly speed up data cleansing, and offers a contemporary solution that employs a big data infrastructure and automated techniques which exploit machine learning methods. Data quality is crucial for the effectiveness of your marketing campaign. It has a direct impact in converting leads to sales. Don’t just automate your email marketing. Try these tools and have a clean data that will help maintain high email deliverables which will help in nurturing leads better. 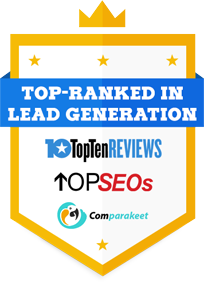 and Generate more Targeted & Qualified Leads in Australia!